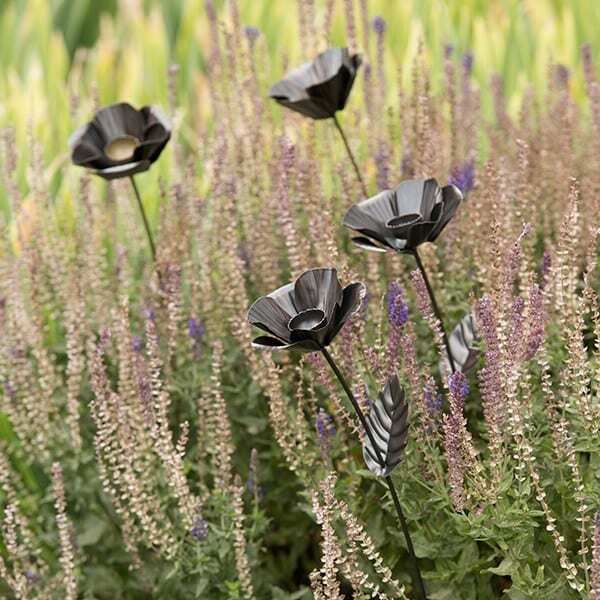 These elegant metal poppy stakes will provide year-round interest to the garden long after plants have died back for the winter. 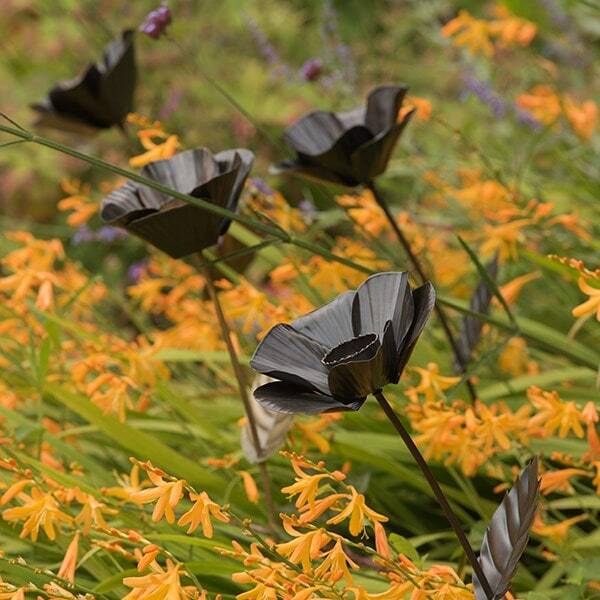 While decorative enough to stand alone, they make a real impact grouped together in beds, borders and pots. 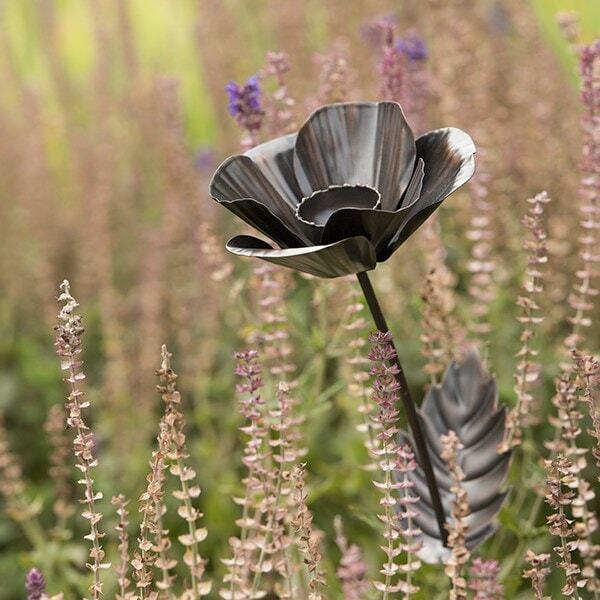 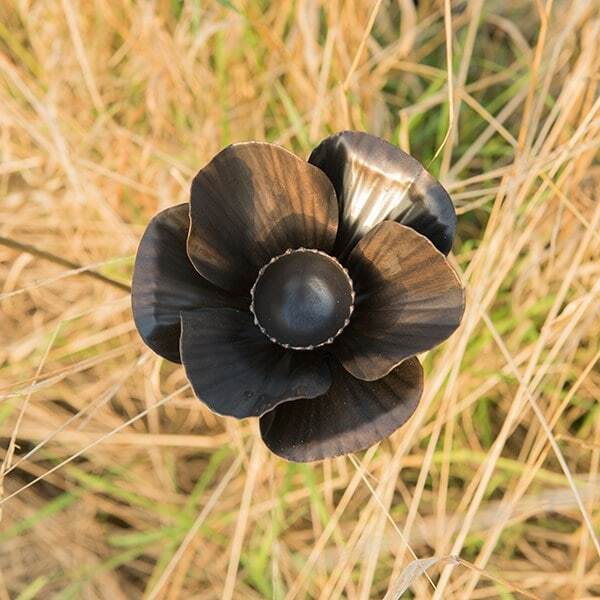 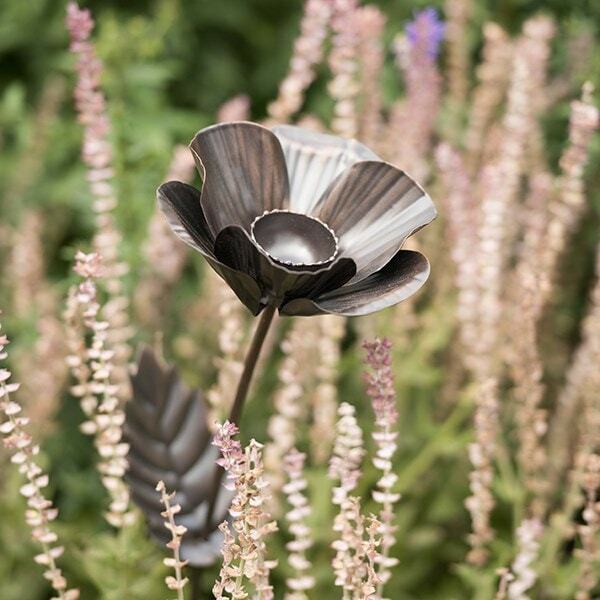 Made from sheet steel with a warm antique metal finish, each flower has a well in the centre for bird seed or water. 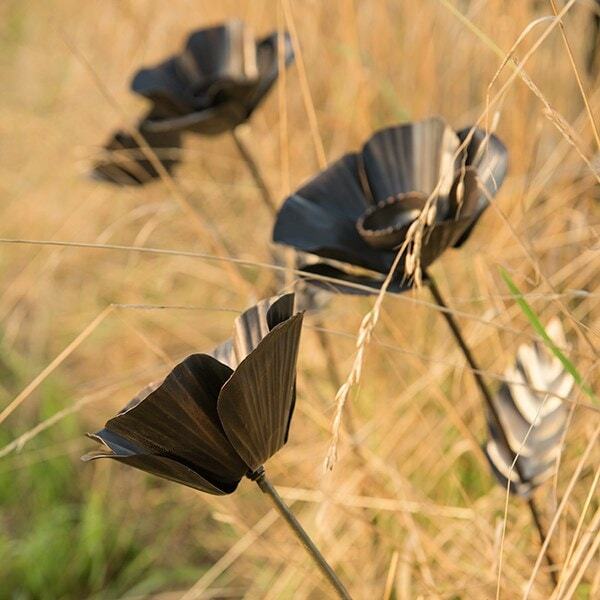 The heads are mounted on long slender stems that will sway gently in the breeze to create a sense of movement. 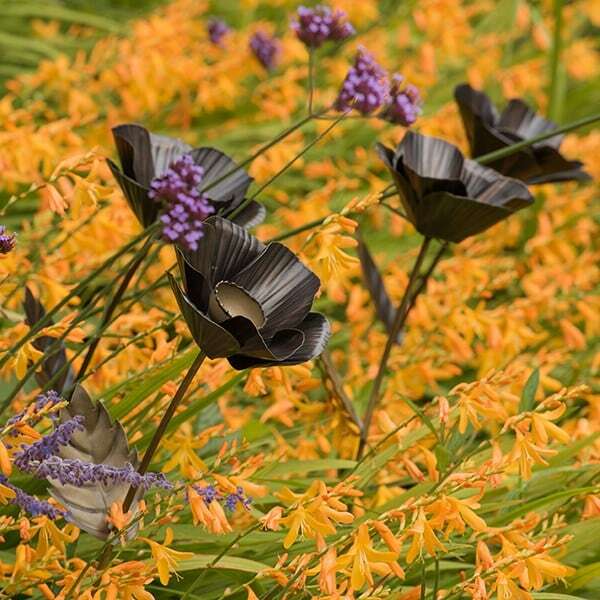 The stakes can also be used to support young plants, and for marking the position of bulbs and dormant plants so you don't unearth them in your digging enthusiasm!